The beaches are calling your name and at Chateau Manor you will be steps away from taking a quick swim in the Atlantic Ocean or starting your North Myrtle Beach vacation day with a long walk on the beach. Chateau Manor affords all its guests a delightful oceanfront view. This North Myrtle Beach resort is right on the oceanfront and features an easily accessible walkway that leads to the ocean. The accommodations at Chateau Manor are nicely decorated. This North Myrtle Beach resort features a small number of North Myrtle Beach vacation rentals and they all have one bedroom and one bath. Enter these North Myrtle Beach condominiums through the bedroom and follow the hallway past the bathroom and to the great room, which contains the kitchen, dining area and living room. The great room in each of these North Myrtle Beach condominiums faces the private balcony. The sliding glass door in the living room of these North Myrtle Beach rentals that leads to the balcony lets in a tremendous amount of sunshine so the whole place is bright and happy. The kitchen in each of these condos in North Myrtle Beach, South Carolina is small but accommodating. Some of the North Myrtle Beach rentals at Chateau Manor have a kitchen that features a dishwasher. They all have a refrigerator and microwave. Make yourself at home when you see all of these amenities provided for you. These North Myrtle Beach vacation rentals have a DVD player and at least one television. Sometimes it is nice to just relax quietly in the peace and tranquility of your own North Myrtle Beach vacation rental. What better way to do that than with a good movie. Make some popcorn and if you are traveling with the kids the whole family can spread out and enjoy a movie night in North Myrtle Beach, South Carolina where the waves are crashing ashore right outside as the tide ebbs and flows. In addition to the convenient kitchen found in each of these North Myrtle Beach vacation rentals, some of these vacation units have wireless Internet access. For those families who like to plan their North Myrtle Beach vacation day you can get online and look at the nearby attractions’ Web sites for details about hours of operation, special events and admission prices. Chateau Manor has some on-site amenities that you might want to use during your North Myrtle Beach vacation. 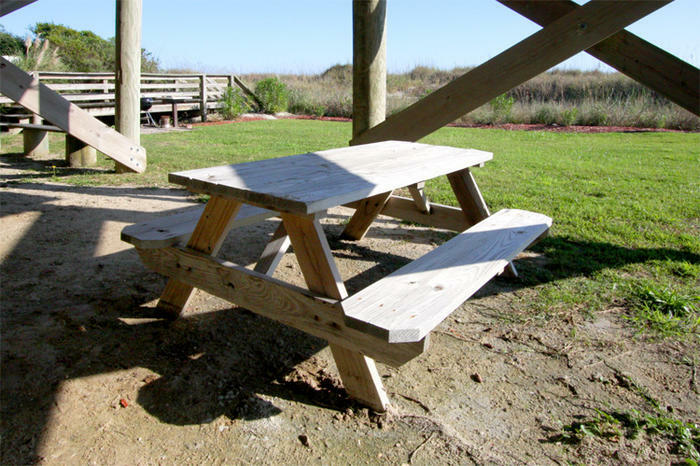 There is a grill available at this North Myrtle Beach resort so you can have a family cookout during your North Myrtle Beach vacation. Throw some shrimp and fish on the grill if you prefer seafood or the family favorites of hamburgers and hot dogs also smell delicious when you grill them outside at the beach. Laundry facilities are conveniently located on site at this North Myrtle Beach resort. How nice to not have to take your dirty laundry around town in search of a Laundromat. You can just wash and dry your clothes on site at this North Myrtle Beach resort. When you vacation at Chateau Manor you are within walking distance to some shops and restaurants on Main Street. This North Myrtle Beach resort is right around the corner from Barefoot Landing, a popular destination for shopping, dining and live entertainment. This North Myrtle Beach attraction is located on the Intracoastal Waterway and is home to House of Blues, Alabama Theatre and Greg Norman’s Australian Grille. Outlet malls are nearby Chateau Manor so put on your walking shoes and get ready for some bargain hunting. The treasures that are to be found at the Myrtle Beach area outlet malls are extensive. Live entertainment theatres are part of the Myrtle Beach area landscape and include Carolina Opry, Pirates Voyage, Medieval Times and Palace Theatre. You can find Broadway shows on tour, resident musical productions that are filled with jaw-dropping talent and dinner theatres that combine a delicious feast with an amazing show. All of these shows transform into a Christmas theme around the holidays, another reason to return to North Myrtle Beach in the wintertime. Water slides and amusement rides are scattered around North Myrtle Beach and Myrtle Beach, as area helicopter tours, dolphin watch cruises and boat rentals. A famous aquarium, zip line, shopping and dining are all located together at Broadway at the Beach while a couple of oceanfront state parks in the Myrtle Beach area offer hiking trails, pristine beachfront and a calendar of hands-on events that teach lessons about the sea. North Myrtle Beach, South Carolina is brimming with wonderful ways to spend your North Myrtle Beach vacation day. Make plans to stay at Chateau Manor so that you will be centrally located to all of these North Myrtle Beach amusements and attractions while having oceanfront views the whole family can enjoy from the privacy of your oceanfront balcony. This North Myrtle Beach resort is for you! Elliott Beach Rentals is not affiliated with onsite management or the HOA of Chateau Manor.